Eyewear by the brand HUGO BOSS, for Men's eyeglasses, with reference M0009619, with a(n) Formal, Modern and Retro/Vintage style.These Hugo Boss 0711 Tz5 52 18 have a(n) Full Rim frame made of Acetate / plastic with a(n) Clubmaster shape in Brown and Golden colours. Their size is 52mm and their bridge width is 18mm, with a total frame width of 70mm. These glasses are suitable for prescription lenses. These are top of the range glasses from the brand HUGO BOSS, made of high-quality materials, modern eyewear that will give you a look that matches your image. Buy Hugo Boss 0711 Tz5 52 18 eyewear in an easy and safe way at the best price in our online store. Sunglasses by the brand HUGO BOSS for Sunglasses for men, with reference S0010558, with a(n) Formal and Modern style.Hugo Boss 0305 807IR 52 18 they have a(n) Full Rim frame made of Metal with a(n) Squared shape in Black colour. Their size is 52mm and their bridge width is 18mm, with a total frame width of 70mm. They have Organic, Gray, Uniform lenses. These glasses are suitable for prescription lenses. These are top of the range glasses from the brand HUGO BOSS, made of high-quality materials, modern glasses that will give you a look that matches your image. Buy Hugo Boss 0305 807IR 52 18 sunglasses in an easy and safe way at the best price in our online store. string(135) "Buy Hugo Boss 0305 807IR 52 18 sunglasses. Modern and elegant model. Original product with fast shipping, quality guarantee and refund." string(26) "Hugo Boss 0305 807IR 52 18"
string(115) "Hugo Boss is a German luxury fashion house, founded in 1923 in Metzingen, near Stuttgart, by Hugo Ferdinand Boss. Sunglasses by the brand HUGO BOSS for Sunglasses for men, with reference S0010473, with a(n) Formal and Modern style.Hugo Boss 0959 086IR 56 17 they have a(n) Full Rim frame made of Metal with a(n) Squared shape in Havana colour. Their size is 56mm and their bridge width is 15mm, with a total frame width of 71mm. They have Organic, Brown, Uniform lenses. These glasses are suitable for prescription lenses. These are top of the range glasses from the brand HUGO BOSS, made of high-quality materials, modern glasses that will give you a look that matches your image. Buy Hugo Boss 0959 086IR 56 17 sunglasses in an easy and safe way at the best price in our online store. string(135) "Buy Hugo Boss 0959 086IR 56 17 sunglasses. Modern and elegant model. Original product with fast shipping, quality guarantee and refund." string(26) "Hugo Boss 0959 086IR 56 17"
Sunglasses by the brand HUGO BOSS for Sunglasses for men, with reference S0010472, with a(n) Formal and Modern style.Hugo Boss 0938 2P6M9 62 14 they have a(n) Full Rim frame made of Metal with a(n) Pilot shape in Black colour. Their size is 62mm and their bridge width is 14mm, with a total frame width of 76mm. They have Organic, Gray, Uniform lenses. These glasses are suitable for prescription lenses. These are top of the range glasses from the brand HUGO BOSS, made of high-quality materials, modern glasses that will give you a look that matches your image. Buy Hugo Boss 0938 2P6M9 62 14 sunglasses in an easy and safe way at the best price in our online store. string(135) "Buy Hugo Boss 0938 2P6M9 62 14 sunglasses. Modern and elegant model. Original product with fast shipping, quality guarantee and refund." string(148) "shape unisex,hugo boss,acetate,metal,rectangular,juvenile,gradient,man,woman,organic lenses,graduating,monofocal,progressive,quality,price,discount." string(26) "Hugo Boss 0938 2P6M9 62 14"
Sunglasses by the brand HUGO BOSS for Sunglasses for men, with reference S0010453, with a(n) Formal, Modern and Sporty style.Hugo Boss 0133 003PR 58 16 they have a(n) Full Rim frame made of Metal with a(n) Squared shape in Black colour. Their size is 58mm and their bridge width is 16mm, with a total frame width of 74mm. They have Organic, Gray, Gradient lenses. These glasses are suitable for prescription lenses. These are top of the range glasses from the brand HUGO BOSS, made of high-quality materials, modern glasses that will give you a look that matches your image. Buy Hugo Boss 0133 003PR 58 16 sunglasses in an easy and safe way at the best price in our online store. 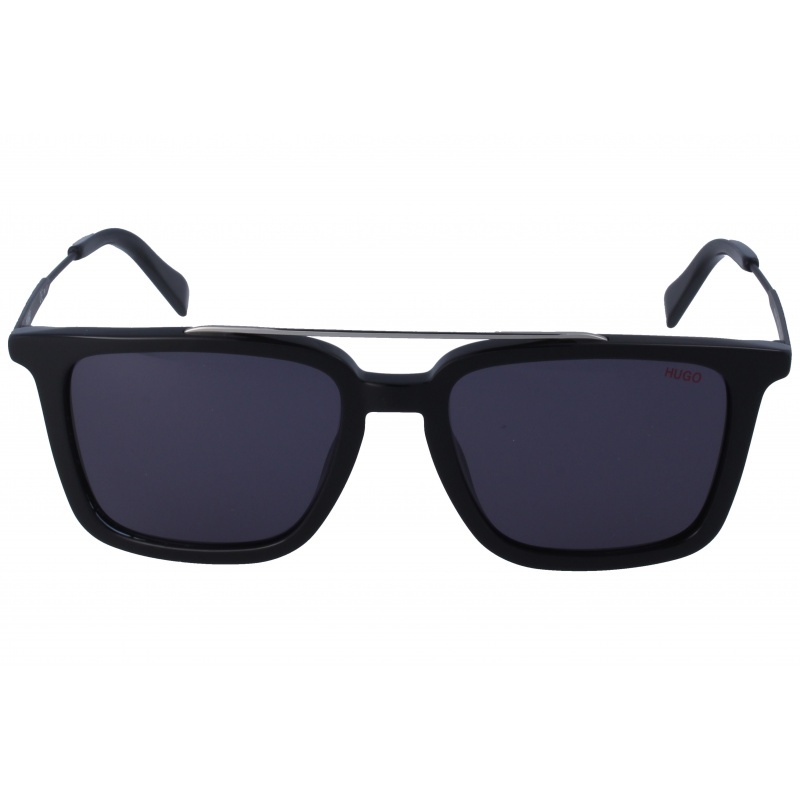 string(135) "Buy Hugo Boss 0133 003PR 58 16 sunglasses. Modern and elegant model. Original product with fast shipping, quality guarantee and refund." string(26) "Hugo Boss 0133 003PR 58 16"
Sunglasses by the brand HUGO BOSS for Sunglasses for men, with reference S0010452, with a(n) Formal and Modern style.Hugo Boss 0320 2W7QT 54 18 they have a(n) Full Rim frame made of Metal with a(n) Squared shape in Black colour. Their size is 54mm and their bridge width is 18mm, with a total frame width of 72mm. They have Organic, Green, Uniform lenses. These glasses are suitable for prescription lenses. These are top of the range glasses from the brand HUGO BOSS, made of high-quality materials, modern glasses that will give you a look that matches your image. Buy Hugo Boss 0320 2W7QT 54 18 sunglasses in an easy and safe way at the best price in our online store. string(135) "Buy Hugo Boss 0320 2W7QT 54 18 sunglasses. Modern and elegant model. Original product with fast shipping, quality guarantee and refund." string(26) "Hugo Boss 0320 2W7QT 54 18"
Sunglasses by the brand HUGO BOSS for Sunglasses for men, with reference S0010451, with a(n) Formal and Modern style.Hugo Boss 1013 08670 57 15 they have a(n) Full Rim frame made of Metal with a(n) Squared shape in Havana colour. Their size is 57mm and their bridge width is 15mm, with a total frame width of 72mm. They have Organic, Brown, Uniform lenses. These glasses are suitable for prescription lenses. These are top of the range glasses from the brand HUGO BOSS, made of high-quality materials, modern glasses that will give you a look that matches your image. Buy Hugo Boss 1013 08670 57 15 sunglasses in an easy and safe way at the best price in our online store. string(135) "Buy Hugo Boss 1013 08670 57 15 sunglasses. Modern and elegant model. Original product with fast shipping, quality guarantee and refund." string(26) "Hugo Boss 1013 08670 57 15"
Sunglasses by the brand HUGO BOSS for Sunglasses for men, with reference S0010450, with a(n) Formal and Modern style.Hugo Boss 1013 OITIR 57 15 they have a(n) Full Rim frame made of Metal with a(n) Squared shape in Black colour. Their size is 57mm and their bridge width is 15mm, with a total frame width of 72mm. They have Organic, Gray, Uniform lenses. These glasses are suitable for prescription lenses. These are top of the range glasses from the brand HUGO BOSS, made of high-quality materials, modern glasses that will give you a look that matches your image. Buy Hugo Boss 1013 OITIR 57 15 sunglasses in an easy and safe way at the best price in our online store. string(135) "Buy Hugo Boss 1013 OITIR 57 15 sunglasses. Modern and elegant model. Original product with fast shipping, quality guarantee and refund." 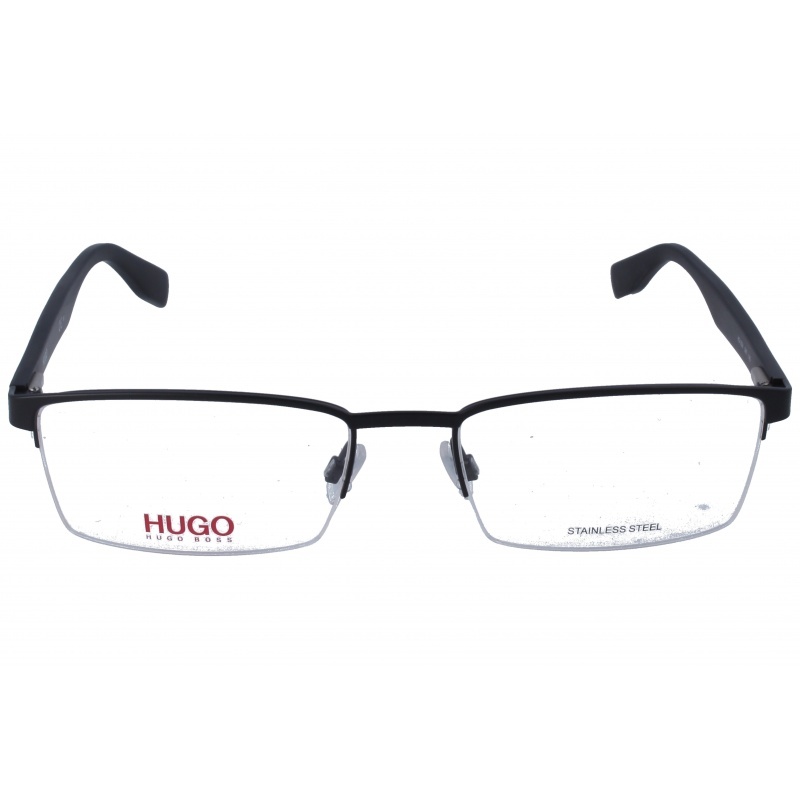 string(26) "Hugo Boss 1013 OITIR 57 15"
Eyewear by the brand HUGO BOSS, for Eyeglasses for men, with reference M0013811, with a(n) Modern style.These Hugo Boss 0324 2W7 55 19 have a(n) Semi Rimless frame made of Metal with a(n) Squared shape in Black colour. Their size is 55mm and their bridge width is 19mm, with a total frame width of 74mm. These glasses are suitable for prescription lenses. These are top of the range glasses from the brand HUGO BOSS, made of high-quality materials, modern eyewear that will give you a look that matches your image. Buy Hugo Boss 0324 2W7 55 19 eyewear in an easy and safe way at the best price in our online store. string(133) "Buy Hugo Boss 0324 2W7 55 19 eyeglasses. Modern and elegant model. Original product with fast shipping, quality guarantee and refund." string(24) "Hugo Boss 0324 2W7 55 19"